Ask The Macro Manager: Can I Eat Ice Cream After A Workout? You've heard of a post-workout shake, but have you tried one packed with real ice cream? Dr. Mike Roussell explains why it may not be the best choice for you. 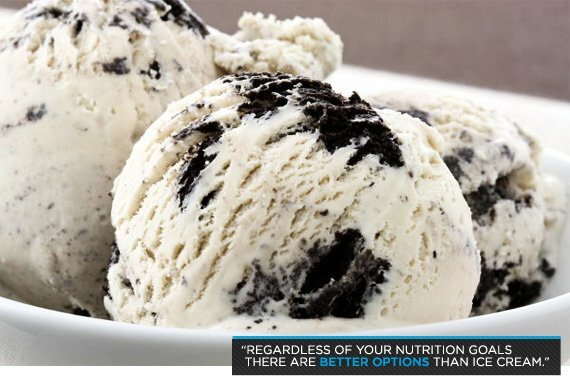 I&apos;ve seen people advocating using ice cream as part of a post-workout shake. Is there any merit to this? This idea has been floating around online and in fitness magazines for a few years. But honestly, I wouldn&apos;t recommend it. Adding ice cream to your post-workout shake isn&apos;t a great strategy. Regardless of your nutrition goals, there are better options. I increasingly think the latter should be the choice for most people, but the first is a classic approach with countless supporters. Let&apos;s break down both. 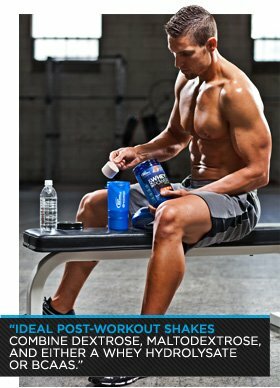 If you are in the fast-acting carb camp, then your ideal post-workout shake probably contains a combination of dextrose and maltodextrose on the carbohydrate side, and either a whey hydrolysate or BCAAs for protein and amino acids. Everything about this concoction is geared toward speed of digestion and absorption. It forces a large, rapid rise in your blood sugar, followed by a sizeable insulin spike. Adding ice cream to this mix just doesn&apos;t make any sense. Ice cream contains fat, which will slow digestion and slow the sugar/amino acid release from your stomach. It also contains whey and casein, and both will get taken up more slowly than hydrolysate or BCAAs because of the required chemical breakdown of the ice cream&apos;s protein structure and chains. On the flipside, if you prefer a post-workout shake that replenishes your body and starts the recovery process sans insulin, ice cream still comes up short. For a low-insulin-secreting post-workout shake, you&apos;re probably using just BCAAs, or maybe BCAAs plus cyclic dextrins, a starch polymer that doesn&apos;t cause large increases in insulin. You may think that adding ice cream here would be good because the fat content combined with the casein naturally found in milk would lead to slow absorption and a minimal increase in insulin. Theoretically this is a good plan—except ice cream still contains an unhealthy dose of sugar. Despite the presence of fat and protein to slow absorption, ice cream stimulates insulin production. If you were trying to control insulin post-workout, you&apos;d never dream of eating any of these foods, right? So why add ice cream? Is ice cream a good post-workout choice? No. Will it submarine your progress? Probably not. But if you&apos;re one of those guys or girls looking for that extra edge—the extra 2 percent increase in fat burning or protein synthesis—then definitely avoid ice cream as part of your post-workout shake.